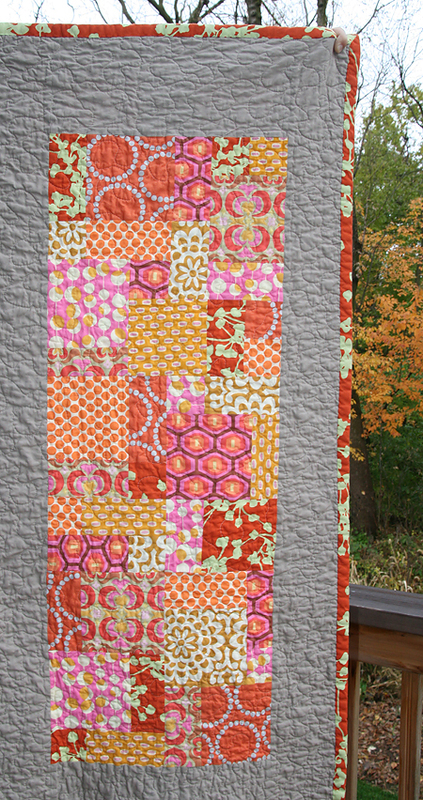 Just in time to see the last leaves turn and fall from the trees, I've finished my fall quilt! I started to feel the pressure this week as the wind and rain came and blew so many of the beautiful red leaves away. I considered waiting for a day with blue skies to take my pictures....but hey, this is Chicago and that could be awhile! 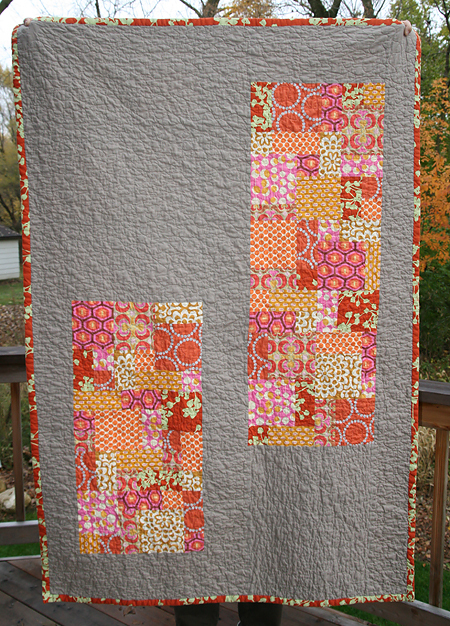 I used fabric from my stash for the blocks of this quilt - lots of Amy Butler, with a sprinkling of Lizzy House and Heather Bailey. I originally planned on making this quilt twice as big, but life got in the way so I used the spare squares on the back for a really cool effect. The sashing is Stone by Bella Solids. I love how it has the look of linen without being linen. 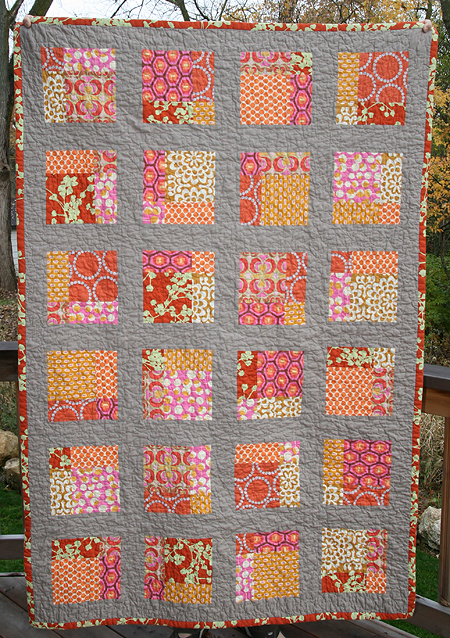 I quilted it free motion style but further apart than I usually do because I wanted it to be a it looser. 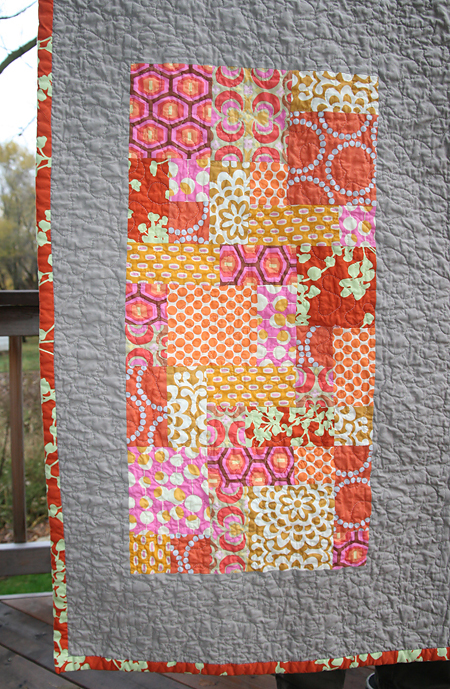 My husband says this is his favorite quilt so far, which surprised me because he wasn't all about it when I was making it. It measures 62" x 44".